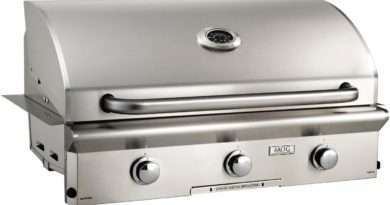 Napoleon is Canada's premier maker of gas grills. Making grills ranging from around $900USD to over $3,000USD they have an impressive range of products. The LEX gas grills from Napoleon is their Chinese made "discount" line offering Napoleon engineering at a more reasonable price. This 3-burner grill is large and powerful and offers an infrared side burner and rear mounted infrared rotisserie burner (but the rotisserie kit is extra). 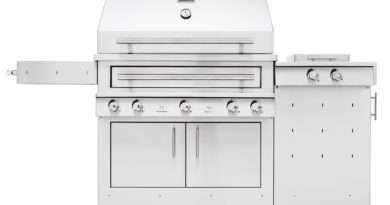 This is a good grill, comparable in every way to some of the best gas grills under $1,000. Comparable in every way except one, price. That is really the issue with Napoleon. This is a great gas grill for the price, but there are a number of similarly capable units on the market that prevent this from standing out from the crowd. The LEX 485RB is made in China by Napoleon and while it incorporates the best of Napoleon engineering it has been cut down to reduce shipping weight. 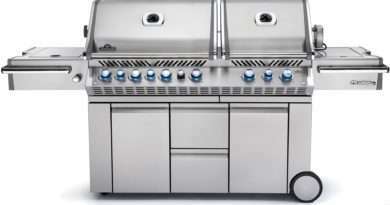 The burners are thick, 304 stainless steel, and the cooking grates are heavy stainless steel rod. It isn't in the cooking system that shortcuts have been taken, it is the cabinetry and the thickness of the body (though it does have double walled cooking chamber). The doors are lightweight and tend to move around a little so they don't always line up. The firebox is well insulated and makes the most of the 99 BTUs per square inch though, the heating can be a little uneven and you might be a little more prone to flare-ups. So why buy this grill? 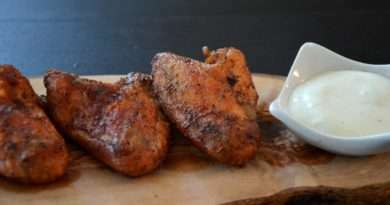 Well, it is a good grill for the price and yes, Napoleon's competitors are also making cutbacks in materials and quality. The one trick with this is that Napoleon doesn't have the best distribution, particularly in the U.S. If there is a dealer in your area you can go in and kick the casters, otherwise you are forced to do your shopping online. Remember that online sales do not have the same support that dealer sales do, so don't expect Napoleon to jump through hoops to help you out with a problem you have with a grill you buy online. Don't think that I am being overly critical with this grill. It really is very good. The heat output is excellent, as is the quality of the components. It is a little overloaded with extras though. The infrared side burner has always been something of a mystery to mean. While capable of putting an intense sear on a steak, it can really only do one at a time. Add to this the fact that it is outside the cooking chamber and it really is a rather strange feature.